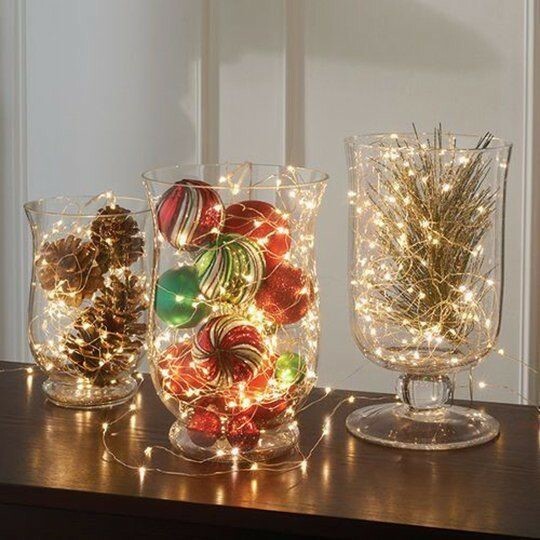 What better way to get into the holiday spirit than decorating your home! 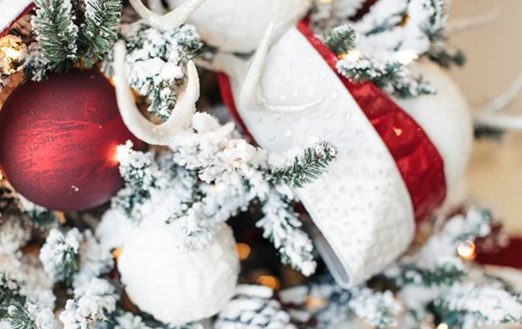 Whether you’re hosting Christmas Eve dinner, having a holiday party, or just looking to spread some holiday cheer, turning your home into a Winter Wonderland is a fun activity for those of all ages. Here are a few tips. Although most homes feel so much cozier with a real evergreen tree, artificial trees are an easy and cost-effective way to create a winter wonderland. Consider ditching the Christmas tree farm this year and getting an artificial tree adorned with heavy artificial snow. Not only does it look fantastic, but artificial trees do not need to be watered or trimmed, and you can use them from year to year. 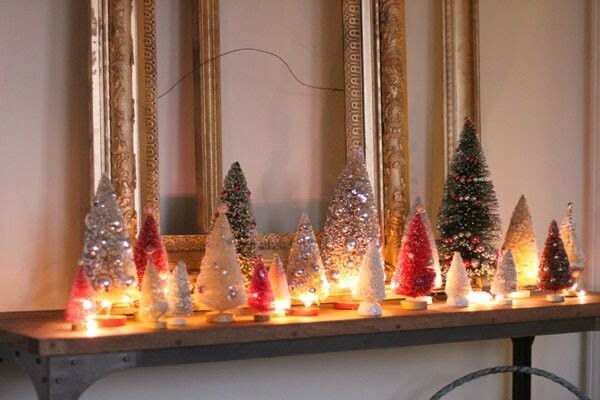 These miniature trees are perfect to place in random spots around the house! They’re inexpensive and come in all shapes and sizes. They can be used to create a festive landscape on a dining room table, decorate a wreath, put into jars with fake snow, or illuminated to look like a beautiful row of decorated trees. A fun and easy way to get kids involved in decorating is by incorporating some arts and crafts. One of the simplest crafts is a paper snowflake. All you need is some white paper, scissors and a string to hang them up. 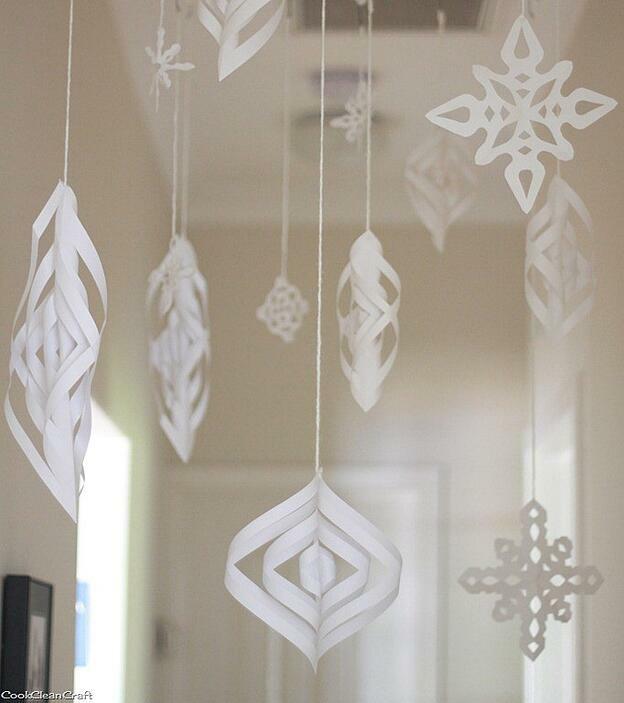 The best part about this is there is no right or wrong way to cut the paper, so each snowflake is unique unto itself! After you’ve searched your attic for those old boxes of random Christmas decorations, invest in some clear jars. Any type of glass jar works: vases, glasses, mason jars or even an old decanter. Fill it up with any garland, candy, ornaments or ribbon. The best part about this decorating technique is the space for creativity… and the opportunity to use odds and ends that are likely already floating around your house.